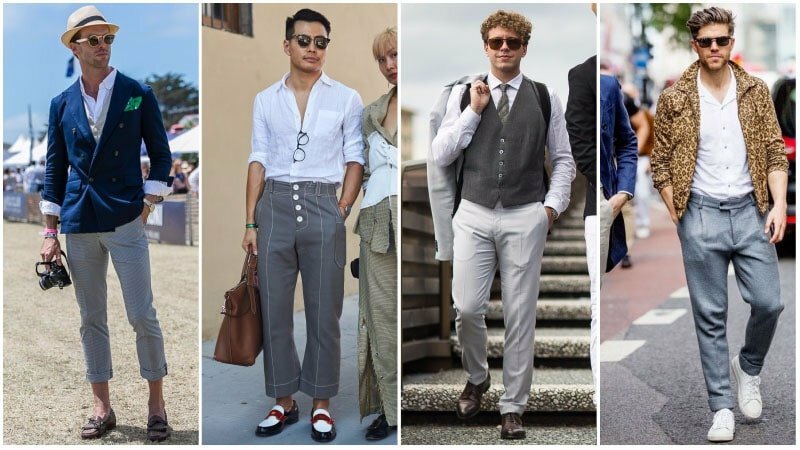 When it comes to the most versatile trousers for men, grey pants are the winner. Although you may think that black can partner with the most looks, grey, due to its diverse range of shades and tones, can suit so much more. So, whether you’re planning a casual weekend outfit or a formal function ensemble, you should consider this wardrobe staple when getting dressed. Offering a sleek and sophisticated aesthetic, grey pants can appear seriously stylish. But, like any fashion item, these trousers are only as good as the rest of your outfit. 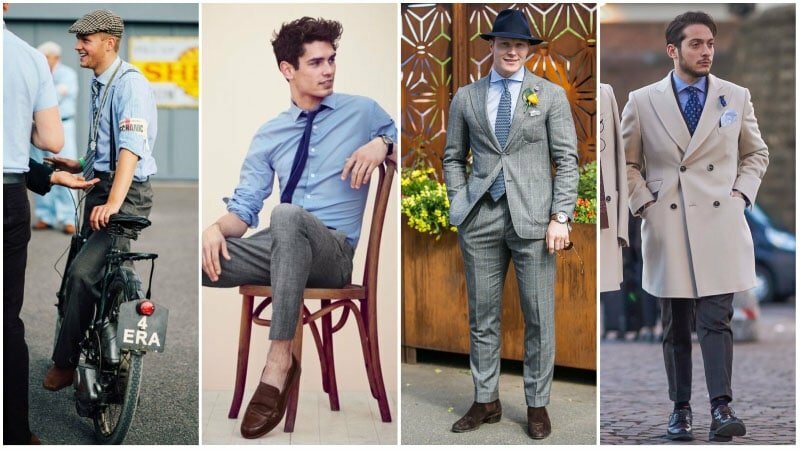 Thankfully, this guide will show you what to wear with grey pants for a killer look that you’re sure to love. 1 What Colors Go with Grey? 3 What Color Shirt Goes with Grey Pants? What Colors Go with Grey? Thanks to its versatility, grey can be successfully partnered with many colours. However, to select the most flattering combination, it’s important to consider shade and tone. Grey can vary drastically between different garments, so not all items featuring this colour will look good with the same hues. Although, there are general guidelines that you can follow to make selecting a compatible combination easier. 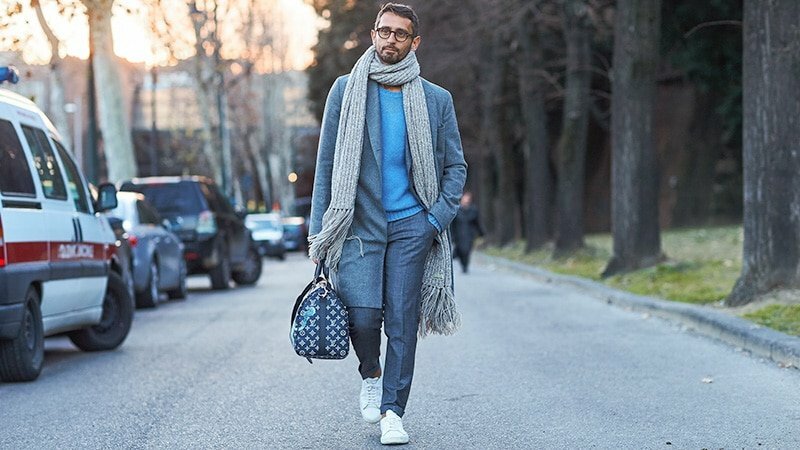 For example, if your grey pants are a cool shade, try partnering them with other cool shades, such as blue. If they are a warm grey tone, consider wearing them with warm colours, like brown. Likewise, try pairing light grey shades with other light colours, such as white, and dark grey shades with dark tones, like black. That said, don’t be afraid to have a play with contrast if you like a bold look. 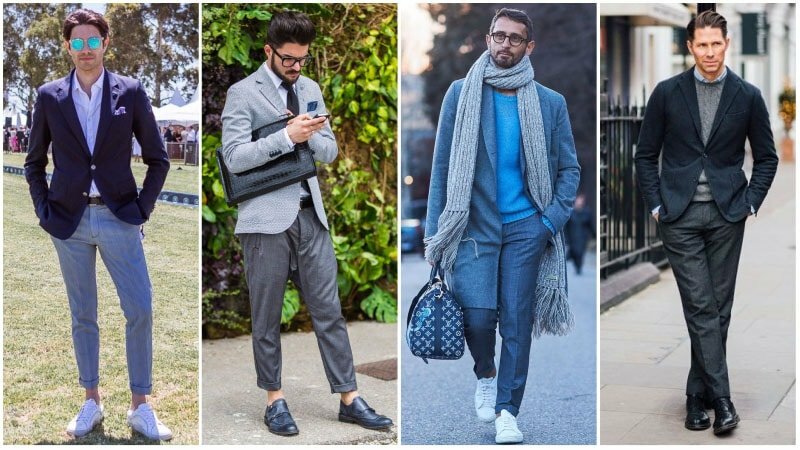 Grey pants can suit a range of both formal and casual occasions, depending on their style. For casual occasions, try selecting more relaxed trouser styles, such as jeans or joggers. For formal events, on the other hand, tailored trousers and suit pants are a logical choice. Chinos are another excellent pant option that looks stylish in grey. To wear them informally, just partner them with a T-shirt. Alternatively, wear them with a collared shirt for a smarter aesthetic. When dressing for casual occasions, don’t just reach for your blue jeans and be done. Grey jeans can be an awesome alternative that’ll help you stand out from the pack. As well as being just as stylish, these pants are also just as versatile as your standard denim designs. 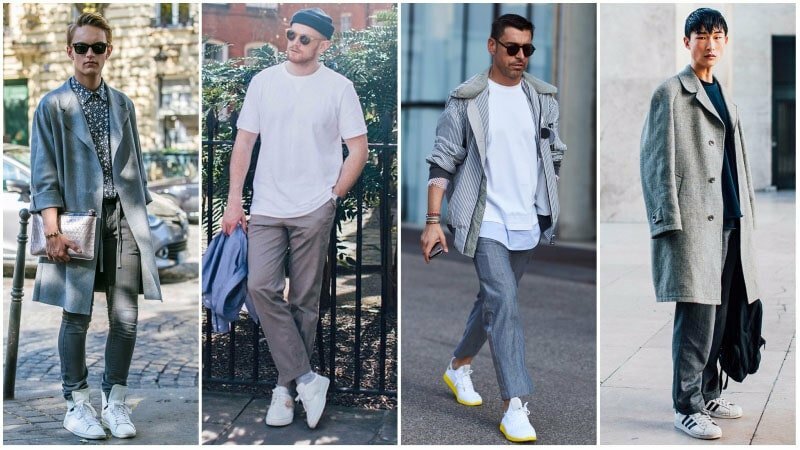 For a simple yet sleek look, partner your grey jeans with neutral colours, such as black, white, navy, and other shades of grey. 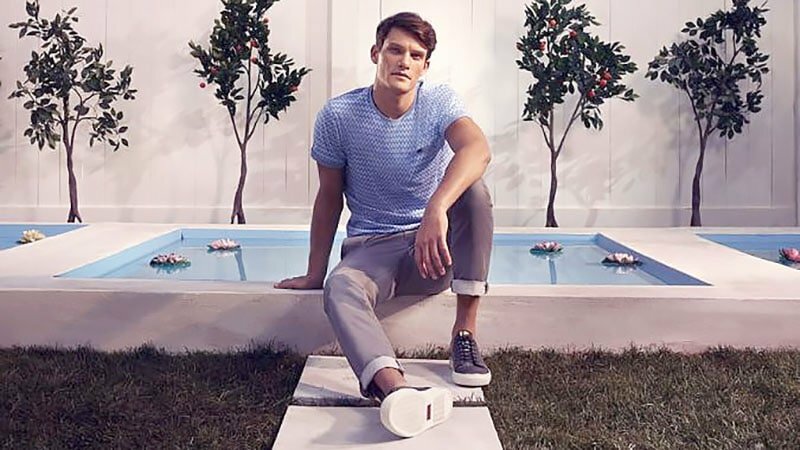 Alternatively, chinos can make a good casual option as long as you pair them with other casual pieces, such as a crew-neck t-shirt and sneakers. 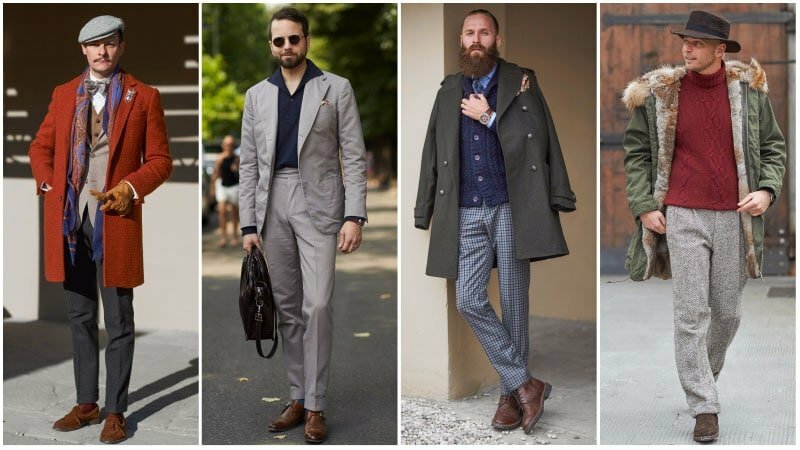 Due to their chic appeal, grey pants can be an excellent choice for smart casual occasions. For a summery style, select a light grey pair of chinos or trousers or, for a winter outfit, choose a dark grey style. Then, finish your ensemble with pieces that are sleek yet relaxed, such as a shirt or T-shirt, blazer and sneakers. For cool weather, you can also consider adding a sweater to your outfit for a perfect finishing touch. What Color Shirt Goes with Grey Pants? To achieve a stylish outfit, selecting a shirt that matches and flatters your grey pants is essential. While the style of shirt you choose will have an impact on your outfit, its colour will be the most important feature to get right. While grey is versatile and can suit many shades, several hues, such as black, white and blue, will partner better than others. All you need to know is when and how to wear these colours for the best look. Grey pants worn with a black shirt is a classic combination for gents. The dark look is sleek and sophisticated, making it ideal for formal evening events. As such, it’s the perfect partnership for your next cocktail or semi-formal function. For a dapper finish, just add black oxford shoes and a black leather belt. For men who prefer a more traditional appearance, you can also add a matching grey suit jacket or blazer. A white shirt with a pair of grey pants is one of the easiest outfits a gent can wear. This combination will always look great, no matter what shade your pants are. As such, it can work for many events and occasions. All you’ll need to do is change your shoes and jacket depending on the setting. The combination of grey pants with a blue shirt is simplistic yet stylish. Perfect for both business and smart casual occasions, this look is fresh and sleek. Just select a pair of dark grey trousers for a formal outfit or light grey pants for a more relaxed aesthetic. To complete your look, black shoes and a navy tie will work perfectly for a sophisticated style while brown footwear will appear casual and cool. Shoes are another important consideration when rocking grey pants. As your footwear and trousers are placed right next to each other, choosing a pair that matches well is essential to achieving a fashionable outfit. While black is a good choice for most formal occasions, don’t forget to try out other colours. 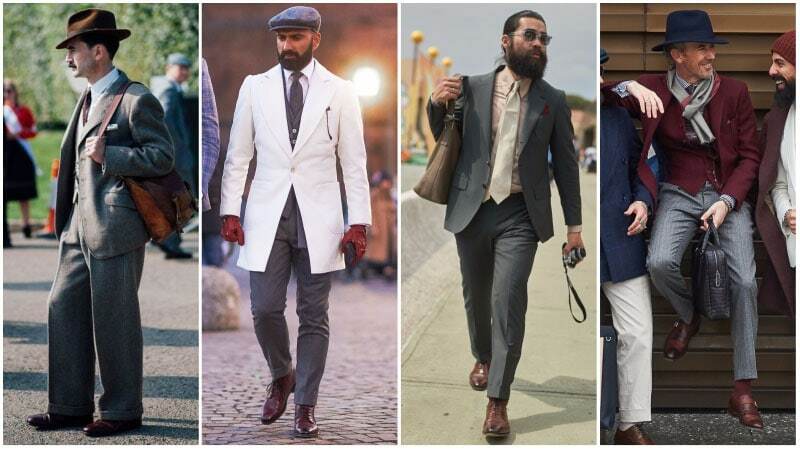 Brown and burgundy shoes can both be excellent choices and appear surprisingly sleek when worn with grey trousers. Brown shoes can appear seriously stylish when paired with grey pants. To nail the combination, all you need to do is pick the right shade. For a look that’s bold and fresh, select a pair of shoes in a light brown tone. For an appearance that’s more traditional and subtle, consider opting for a dark brown hue instead. Burgundy shoes create a stylish contrast when paired with grey pants. The unique colour is more daring than traditional black or brown styles without appearing overly bold. As such, it’s the ideal choice for those who want to stand out without looking like a sore thumb. Just select a pair of sleek dress shoes for a chic look. You can even add a matching burgundy blazer for a statement style. Pair grey jeans with a T-shirt and sneakers for a stylish casual look. Opt for light grey pants in summer or for relaxed occasions. Choose dark grey pants in winter or as an alternative to black pants for formal events. 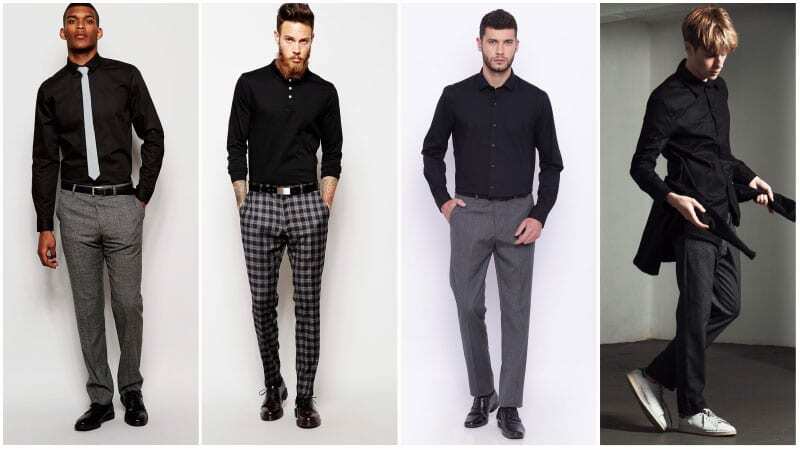 When selecting a shirt to pair with grey pants, choose either white, blue or black for the most flattering appearance. Try pairing grey pants with black shoes for traditional looks and brown or burgundy shoes for statement styles.